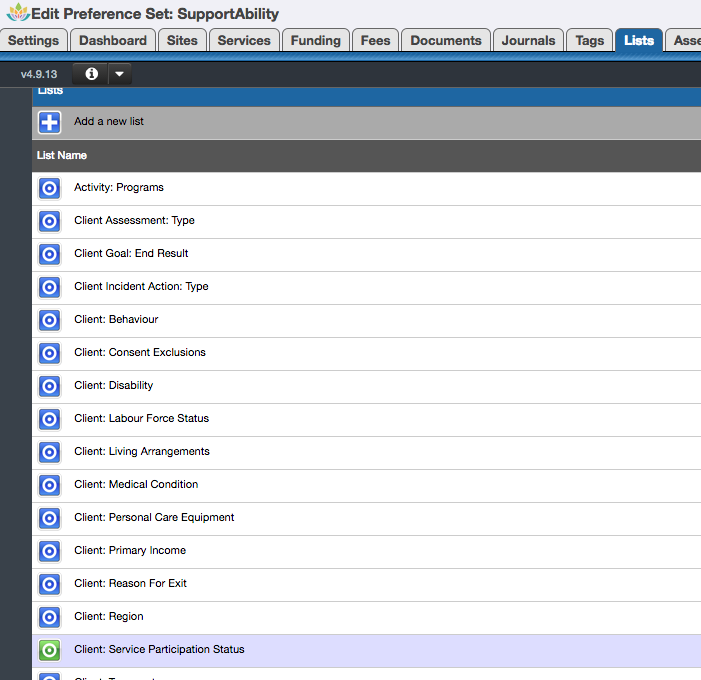 SupportAbility can be used to manage your interactions with clients from their first point of contact. To start, a client record must be created with a minimum of First name, Surname and Date of Birth being entered to create a unique record. You will notice that this record is still 'Incomplete' as further information is required, however it can be saved with a minimum of the data entry points listed above. 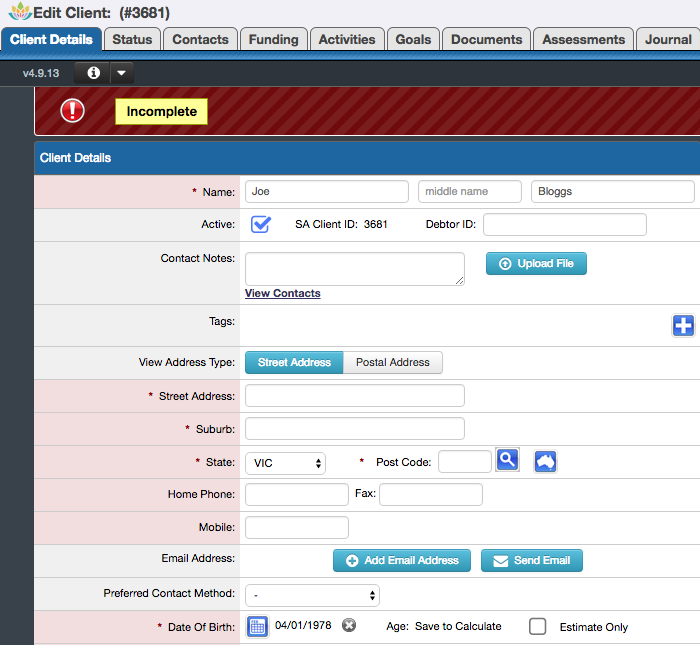 On the right-hand side of the client details, any services the client participates in need to be entered here. When a client is enquiring about a specific service, the service they are enquiring about can be added and flagged with the status of 'enquiry' as outlined below. 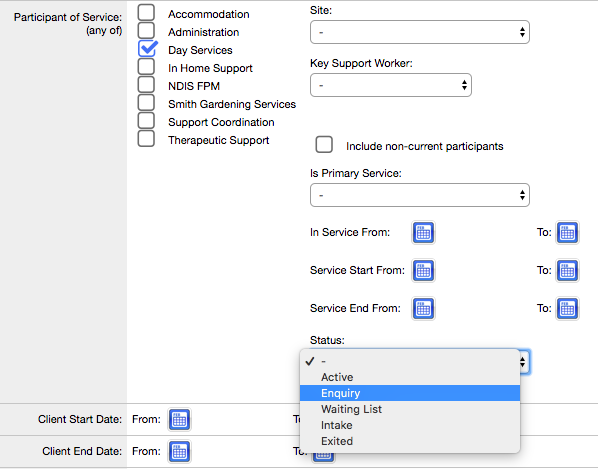 To update any of the lists in SupportAbility, you will need the 'Edit System Preferences' Staff Account Privilege. 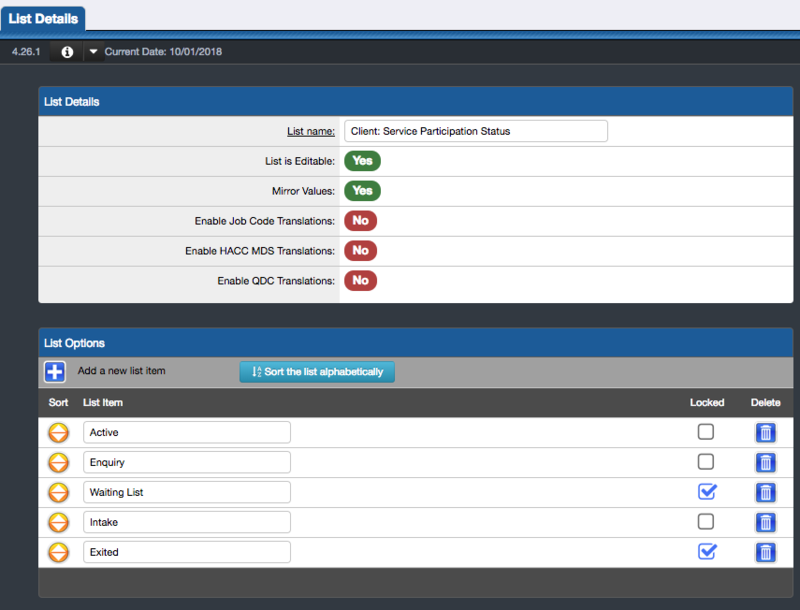 Once this list has been updated with the various status' as required, a new client record can be created and their Client Service Participation updated as outlined above. Once a client has progressed or exited from enquiry status, this needs to be updated in their client service participation. We recommending adding an end date to indicate when the enquiry was completed, then adding a new entry to indicate when the client is actively participating in the service they were enquiring about. This is beneficial as reports can be generated regarding the length of time taken to progress from enquiry to active or exited if the enquiry did not progress and it clearly reflects the service lifecycle your client has with your organisation.